Choose a persistent notification to hide it forever as long as this app is installed, or hide it temporarily. 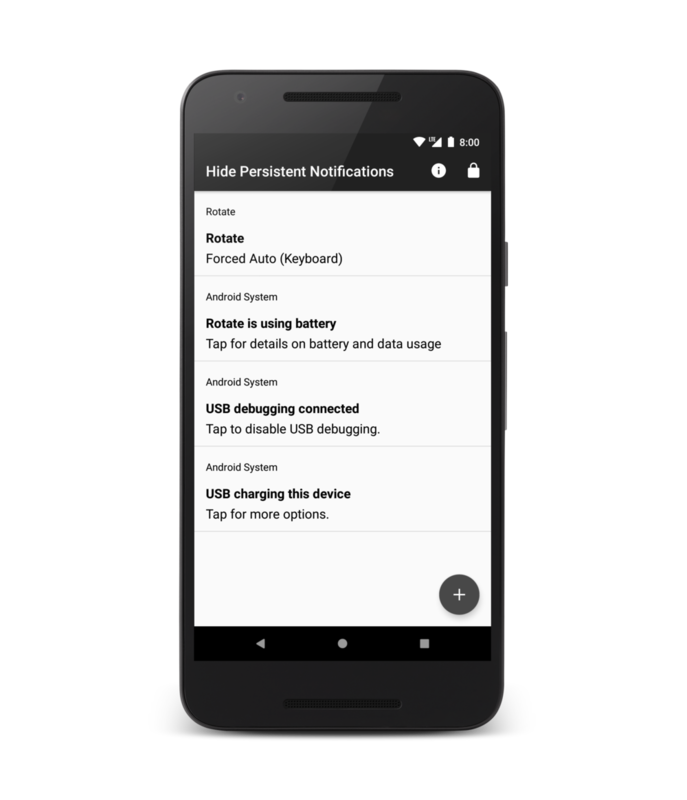 Notification hidden forever can be brought back if you remove it from the list of hidden notification and then restart your device. 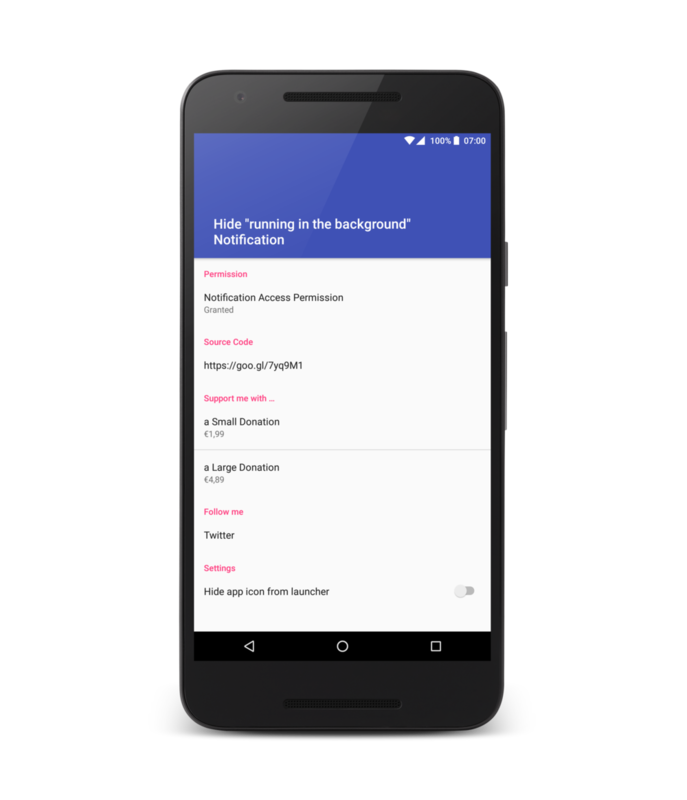 Notification hidden temporarily can be brought back immediately after removing it from the list of hidden notification. Hide the annoying "running in the background"/"using battery" Notification with this simple and small App. Just keep it installed and this annoying notification will never appear again. Checks if your device has root access.